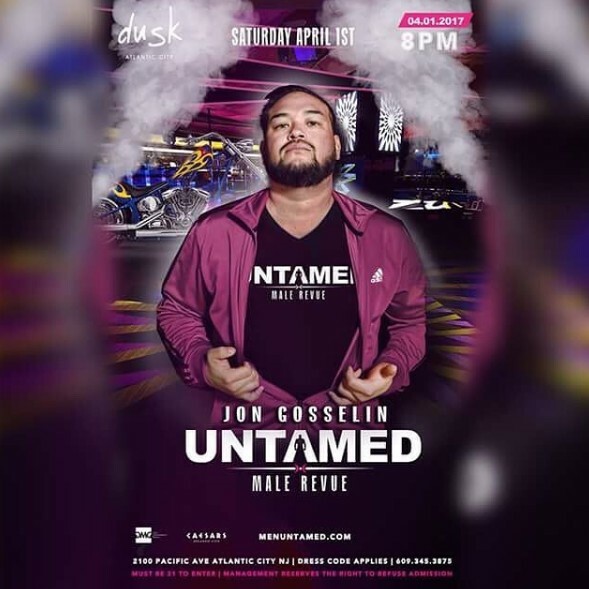 I thought that people would stop talking about Jon Gosselin a long time ago, but it’s hard not to acknowledge this latest “news.” The father of eight is set to make his debut as a stripper in Atlantic City, New Jersey. Yes, you read that right. Stripper. I would love to know what Kate Gosselin and her children think about this move. I can’t imagine that it would work in his favor when it comes to custody of his children. I also can’t imagine what kind of audience this would be catering to. Who wants to see this? He’s apparently a jack of all trades…or should I say a “Jon” of all trades? That’s right, folks! Jon Gosselin has yet another job he’s pursuing. To be honest, I couldn’t tell you what his career was before Jon & Kate Plus 8, but I’m sure it was something respectable and dad-like. Engineer? Data analyst? A quick Google search only seemed to highlight his latest endeavors. After his early career, Jon became a reality star then a sadder reality star, then a fame monger, friend to Michael Lohan, dater of young hangers on, Ed Hardy sandwich board, solar panel installer, and, most recently, a waiter. That’s quite a shift in employment! So, what’s next on Jon’s resume? Did you not get enough of Kate Gosselin — in the first part of her TLC special Kate Plus 8: Sextuplets Turn 10?? The good news for you is that the second part of the two-part special airs tonight. So see, you still have one more chance to watch everyone's love-to-hate-her mother-of-the-year!